Many of my clients (and my own parents) are approaching the age of 65, which means they’ll be eligible for Medicare coverage. But until they are in it, most are uncertain about what a switch to Medicare will mean for their budget. Pai Gee-Janssens is a Medicare private health insurance plan specialist based in NYC. She knows the ins and outs of Medicare, and the details which apply to our local area. I recently asked Pai some of the most common questions I hear. 1. What does Medicare cost? 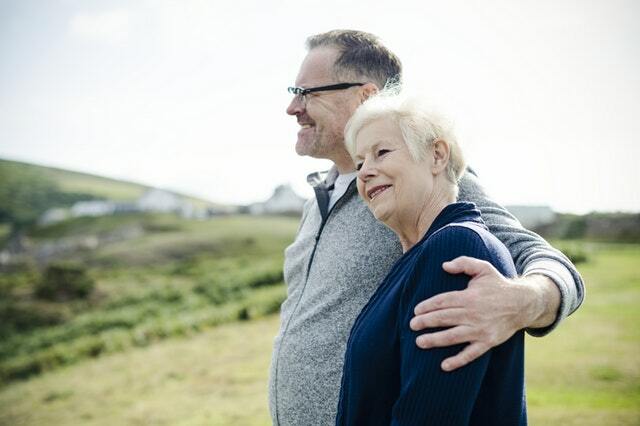 First, let me explain the difference between Medicare Part A and B.
Medicare Part A is free for many thanks to taxes paid during the working years, which may include those paid by a spouse. Those who do not qualify for free Medicare Part A can pay for it, a maximum of $451 per month. Generally speaking, Medicare Part A is hospital insurance that helps cover inpatient care in hospitals, skilled nursing facility, and hospice. Medicare Part B covers outpatient medical, including primary or specialist doctor visits as well as diagnostic testing and chemotherapy. Yes, there is a cost for Medicare Part B even if you paid into the tax system. In 2012 Medicare Part B is $99.90 per month for most but ranges up to $319.70 if your personal income is greater than $85,000 per year (or $170,000 per household). In NYC the current range of premium cost for an additional private Medicare insurance plan is $0 per month to $450 per month. This is on top of what one pays for Medicare Part A and B. This figure includes prescription drug coverage and may include preventive dental and vision in the case of Medicare Advantage plans (HMO, PPO, POS plans). On the high side, most people in my NYC experience pay close to $300 per month for the top of the line Medicare Supplement Plan F and their Medicare Part D Prescription Drug plan combined. They are also paying close to $100 for Medicare Part B as well. That is $400 per month for quite a bit of healthcare coverage. 2. How does this compare to what people are paying for health care BEFORE retirement? Many New Yorkers are so excited upon their eligibility for Medicare because they do not have to pay for their expensive *individual* insurance coverage which can range close to $1000/month for an HMO or PPO plan. Many on employer plans or COBRA continuation from a former employer also feel the same, but savings are less. 3. What is the “donut hole”? The Medicare Part D donut hole is a gap in coverage of prescription drugs (those covered under the plan) under any Medicare plan with prescription drug coverage. This includes under Medicare Advantage plans or the stand-alone Part D plans. Most people understand how pre-Medicare drug coverage under a plan works. You pay a monthly premium which may be part of your medical health plan. And when you need medications, if it is covered under your plan, you pay a co-pay or co-insurance (cost sharing), which may be a flat dollar amount or a percentage of the total. If the precise medication is not covered under your plan, you pay full retail price for it. Generic medications always cost less than brand name medications. With the Medicare Part D, it works like this also. However, at a certain point, instead of the initial level cost-sharing for medications covered under the plan, you pay 50% of the cost for the brand name medications and also more for generics. The 50% used to be 100% before 2011 thanks to recent Healthcare Reform, the Affordable Care Act which became law on March 23, 2010. After a certain threshold, cost-sharing goes down again. The part in the middle, where you are paying the highest share of the cost of your prescriptions, is the “donut hole”. Not many people know how to calculate Medicare prescription drug costs so they know when they enter the donut hole until they experience getting their first year of bills. On the Medicare private plan websites, you can calculate the total annual cost for drug costs. The Plan Finder at www.Medicare.gov Plan Finder is even better. This is a big part of what I help people do to find the most cost-effective plans. The best way to find the plan with best drug coverage is to add your total annual drug costs (which can vary by plan) and your monthly premiums, as opposed to looking just at the monthly premium cost of Medicare plan which offers drug coverage. You can save thousands per year just on out-of-pocket drug costs by comparing plans. 4. Can you still use your “regular” doctor with Medicare? Same as the pre-Medicare HMO or PPO plans most are used to, there are networks of healthcare providers including hospitals that are considered “in-network” for the precise plan you are in. It is always most cost-efficient to go to an in-network healthcare provider for the plan. You can check on www.medicare.gov to see a list of Medicare-accepting doctors. This means they accept straight Medicare and will accept any Medicare Supplement plan like Plan F.
If they accept straight Medicare aka original Medicare Part A and B, this does not necessarily mean they accept the Medicare Advantage plans. You can contact the healthcare provider such your doctors office and ask for which Medicare plans they accept. Often you will be asked to contact each Medicare private insurance carrier directly to find out. You can always find lists of healthcare providers in network for the plans on their websites. Unfortunately, even if your Medicare private plan provider is the same company as your pre-Medicare HMO or PPO plan, this does not guarantee that your existing healthcare providers will be also covered. In the case of the bigger name national plans, there is a higher chance your doctor or specialist or hospital or diagnostic laboratory for blood tests is covered as in-network, but there is no guarantee. 5. Where can you find a supplemental private Medicare plan? I always strongly recommend that clients start planning at least THREE MONTHS before the expected start of health coverage under Medicare. My favorite unbiased source to recommend to people is “Compare Drug and Health Plans” section at www.Medicare.gov. I spend a lot of time using this site to help my aged 64+ clients and their families navigate efficiently through their choices. I am an experienced insurance broker representing six major private Medicare plan insurers in NYC and the boroughs, all familiar household name companies. I am truly unbiased in my concern to help people protect themselves from financial disaster due to healthcare. My consultations are always free. My office is in NYC midtown west near Penn Station. Feel free to contact me at 646-599-4617 or at pgee97@alumni.nd.edu . If this information is important for your family/friends to know, please forward this blog post to them! The opinions and services of Pai Gee-Janssens are not affiliated with The Stanich Group.